If you visit a newsstand inside your nearest grocery or convenience store, you’ll find a vast assortment of Disney-related magazines. Among these will be Life’s celebration of Mickey Mouse’s 90th Anniversary, something celebrating the legacy of The Golden Girls, and a magazine devoted to Disney’s upcoming adaptation of The Nutcracker by E.T.A. Hoffman. 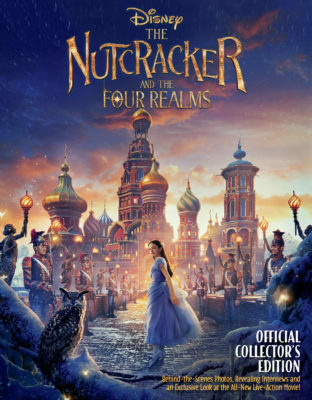 The Nutcracker and the Four Realms: Official Collector’s Edition takes fans from Godfather Drosselmeyer’s elaborate mansion into the four realms, with behind the scenes photos and interviews that give a glimpse into the talented individuals that brought this fantasy world to life. The first thing that strikes you about this special edition are the expansive full color photos that almost pop off the pages. If you’ve seen the trailer, you know how beautiful the film looks. The grandeur and majesty of these still images and concept art are magical and fans will pore over every page. The table of contents lists sixteen articles, although it actually reads more like a book with sections devoted to different themes. The first article explores the origins of the story and how it went from a short fairytale in Germany to a ballet in Russia that wouldn’t be deemed a success until decades later. 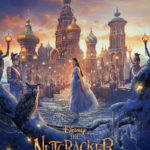 It discusses the Tchaikovsky music and how it was integrated into the film, but makes no mention of Disney’s other connections to the composer through Fantasia and Sleeping Beauty. 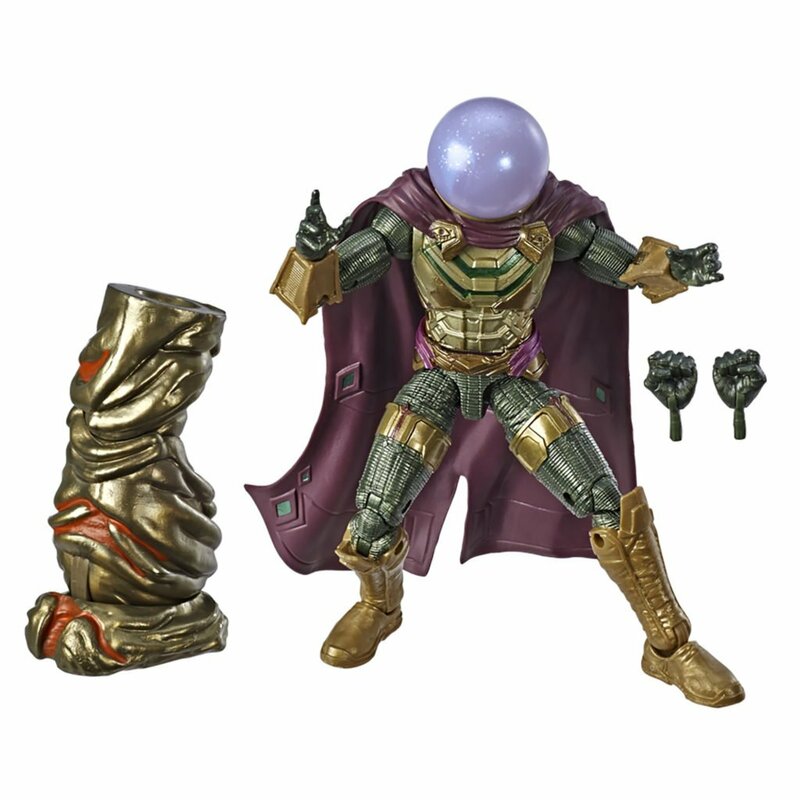 But most importantly for fans of this film, it reveals what remains from the original story, what was inspired by the ballet, and what is unique and original to this new adaptation. The next section explores the characters and the actors portraying them, with lots of interviews and character exploration. 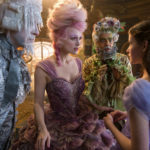 This includes Clara (Mackenzie Foy), Drosselmeyer (Morgan Freeman), Sugar Plum Fairy (Kiera Knightley), Mother Ginger (Helen Mirren), Ballerina of the Realms (Misty Copeland), Captain Phillip (Jayden Fowora-Knight), Hawthorne (Eugenio Derbez), Cavalier (Omid Djalili), and Harlequin (Jack Whitehall). It also covers Mouserinks and the Mouse King, animal characters that have a mostly digital role. The last section goes behind the camera to learn about the costumes, makeup, hair, sets, and props. It shines a spotlight on the artists that fans won’t see on screen, including Costumer Designer Jenny Beavan, Hair/Makeup Designer Jenny Shicore, and Production Designer Guy Hendrix Dyas. Many images of the costumes, sets, and props are included, including closeups of Clara’s egg-shaped box and the intricate key that unlocks it. The Nutcracker and the Four Realms: Official Collector’s Edition is now available wherever magazines are sold, under exclusive license by Topix Media Lab. For $9.99, fans can take a peek behind the curtain of the movie-making process of this magical fantasy adventure that is destined to become a holiday classic for generations to come. 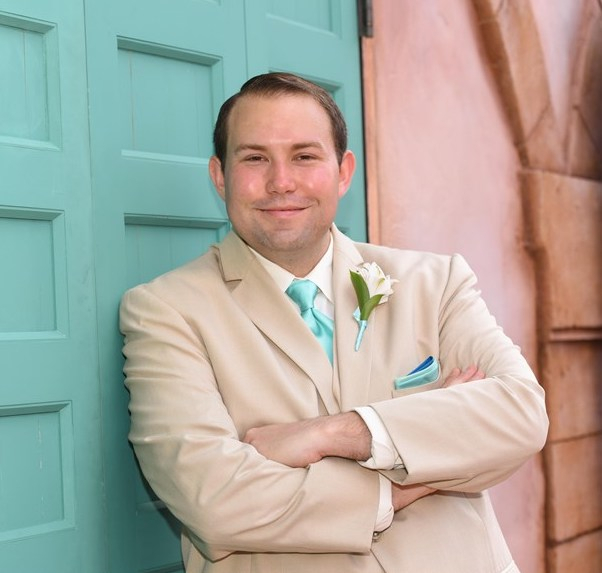 Best of all, it’s a souvenir that collectors can look back on fondly when they look back on the holiday season of 2018 and that time they spent in the theater seeing Disney’s The Nutcracker and the Four Realms.